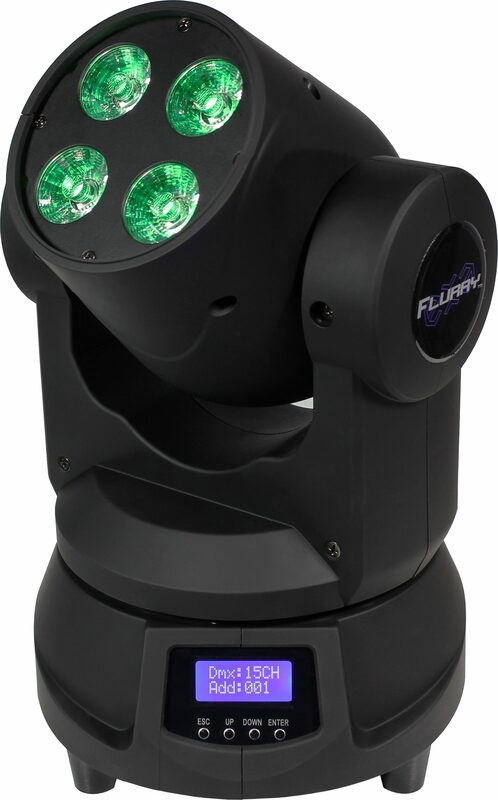 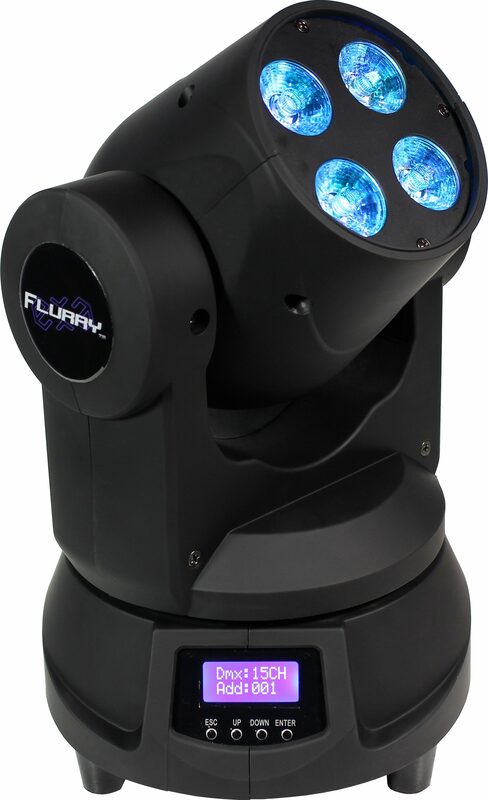 The Flurry EXA builds on one of Blizzard's most popular, super affordable moving head washes, the Flurry Series and takes it to the next level with 4x 15-watt 6-in-1 RGBAW+UV LEDs for pure, immaculate, and richly saturated color mixing. Super small and compact, the Flurry EXA features 540 degree pan and 220 degree tilt with built-in programs, color macros, and sound active via DMX or Master/slave modes make the Flurry EXA a breeze to operate at any experience level. It also features variable electronic strobe, vector speed control for multiple channels, user-selectable pan and tilt ranges, and built-in movement macros. 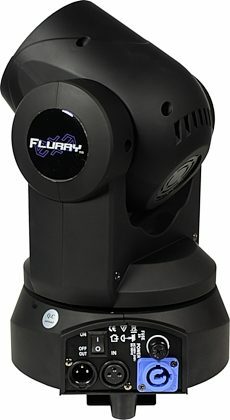 When you need color, and lots of it, the Flurry EXA really fits the bill!